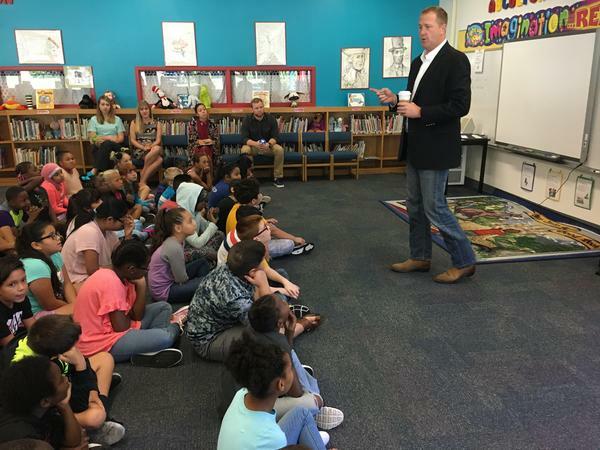 Missouri Treasurer Eric Schmitt talks to fourth graders in the North Kansas City School District about saving for college. Missouri families can now use their 529 plans to get a tax break on K-12 private school tuition. Julie Welch, a tax professional with Meara Welch Browne, says the change means parents can put money in one day and take it out the next to pay for qualifying education expenses. So 529 essentially becomes a pass-through account that allows parents who choose to send their kids to private school to avoid paying state taxes on tuition. “We oppose legislation that would gave tax credits for scholarship, tuition or vouchers to private schools, or voucher plans that would divert public funds to pay for private schools,” says Aurora Meyer of the Missouri State Teachers Association. And there’s more at stake here than a back-door private school tax credit, Meyer says. When Congress created the 529 program in the 1990s, it was to incentivize families to save for college. Make a contribution, get a state tax credit or deduction, and the federal government lets your money grow tax-free until it’s time to pay for college. Meyer says if families are putting money into a 529 plan one month to take it out to pay private school tuition the next, their savings don’t get a chance to grow. “If parents are taking money out of a 529 to pay for primary and secondary education, that’s money the student won’t have to go to higher education,” Meyer says. It’s also unclear what impact the change could have on state budgets. In Missouri, 529 account holders can get a tax credit to offset up to $8,000 in contributions ($16,000 for a married couple filing jointly). It’s not a deduction – it’s an adjustment to income. That means even taxpayers who take the standard deduction benefit from making 529 contributions. Average private school tuition in Missouri is $6,080 for elementary grades and $11,776 for high school. A University of Missouri Economic and Policy Analysis Research Center white paper on the impact of the Tax Cuts and Jobs Act of 2017 on state revenues didn’t address 529 plans specifically. In a separate analysis conducted with the libertarian-leaning Show-Me Institute, one of the white paper’s authors, Joseph Haslag, determined the 529 changes could cost Missouri about $32 million. 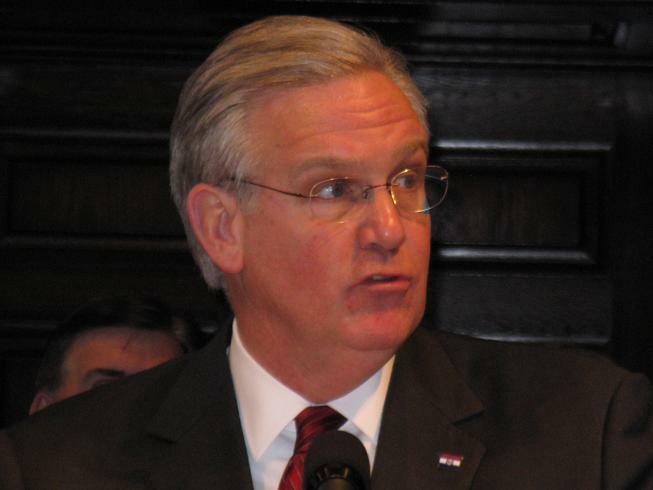 In an email, Haslag writes that simulations “cannot predict the behavioral change.” In other words, there’s no way to know how many Missourians will start passing private school tuition through 529 accounts to get the tax break. About 117,000 Missouri students attend private or parochial schools. Affluent families have always benefited most from the 529 college savings program. Substantial contributions made when children are young grow tax-free for years, until the student is ready to pursue higher education. According to the Brookings Institution, a left-of-center think tank, households with an annual income of $100,000 or more also recouped three-quarters of the tax benefits, to the tune of about $200 million nationwide. Missouri currently manages 154,476 college savings plans worth more than $3 billion. It’s a state-managed financial account designed to help families pay for college. Missouri’s plan is called MOST 529. Kansas’ is called Learning Quest. Contributions to the account grow tax free until taken out to pay for a qualifying education expense. There’s no limit to how much you can take out to pay for college, but there’s a $10,000 annual cap on K-12 tuition. Additionally, there are tax incentives for opening an account. Missouri account holders can get a credit for up to $8,000 in contributions ($16,000 for a married couple filing jointly). Kansas taxpayers can get a $3,000 credit per beneficiary ($6,000 for a married couple filing jointly). So a married couple living in Overland Park with their three kids could get a tax break of up to $18,000 for making 529 contributions. Anyone. You can set up a 529 account for your children, your nieces and nephews, even the kids next door. You can transfer money between accounts if the beneficiaries are related – if, say, your oldest child gets a substantial scholarship, money in that account could pay tuition for a younger sibling. But if you take money out for anything other than a qualified education expense, you pay a penalty. How much can I put into a 529 account? Missouri lets account balances reach $325,000 for a single beneficiary. So while it’s fine if a child’s parents, grandparents and aunt all want to open MOST 529 accounts, the balance in the three accounts is capped at $325,000. In Kansas, Learning Quest accounts can reach $380,000 for a single beneficiary. I live in Missouri. Can I open a 529 plan in Kansas? Sure you can. In fact, Welch and other accountants encourage people to shop around before they decide which 529 plan to park their college savings in. Different states offer different investment portfolios, and you (or your financial advisor) might prefer one over another.